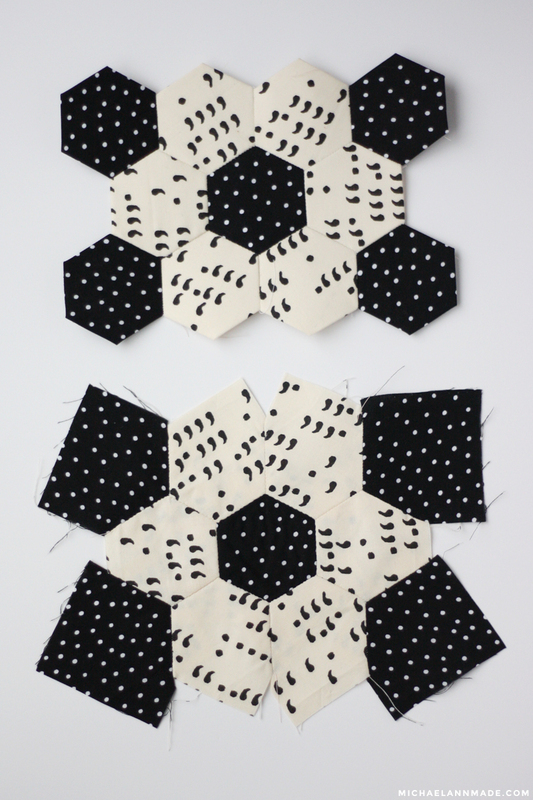 Remember these little hexies I made a while back from that free Creativebug class? 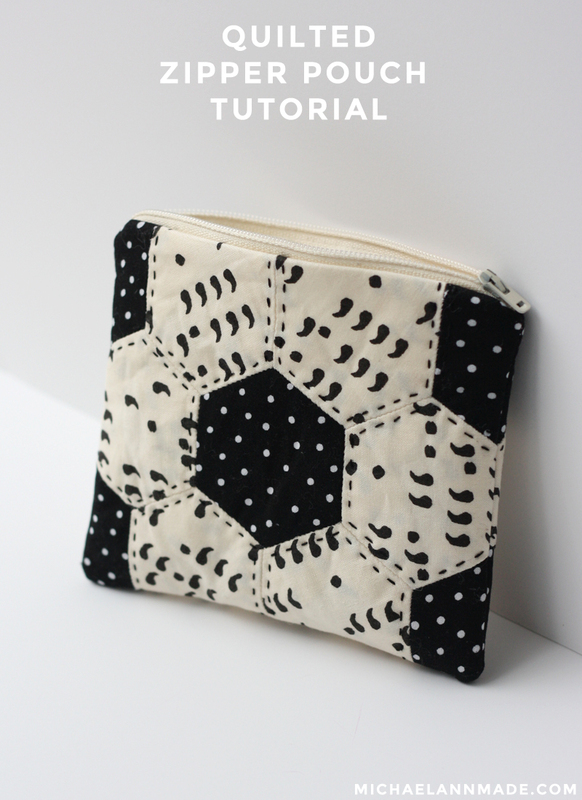 complete with a tutorial for you to make your own Quilted Zipper Pouch! you can download it here to help you through this tutorial. FIrst, you will need something to make your wallet out of. 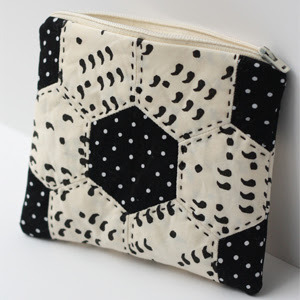 I used hand pieced hexies, which was super easy because I only need a couple! that the smallest sides are still a bit bigger than your pattern piece. 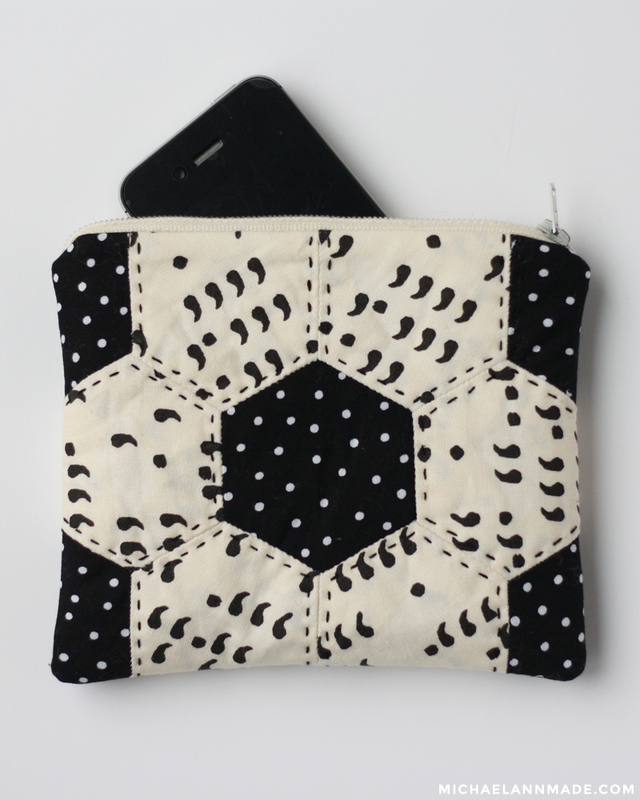 I'll show you what I did to make sure the complete hexie shows on the pouch. 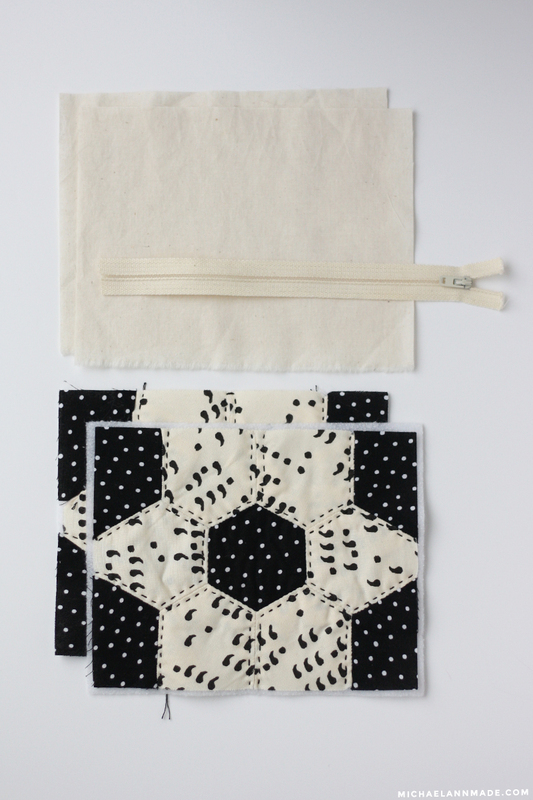 she shared a couple different ways to cut the fabric when piecing your hexies. 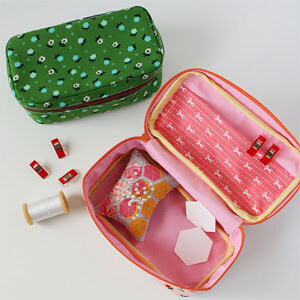 so that I would have more fabric to use as seam allowance when stitching my wallet. and pressed it all flat so I had one flat panel of fabric. 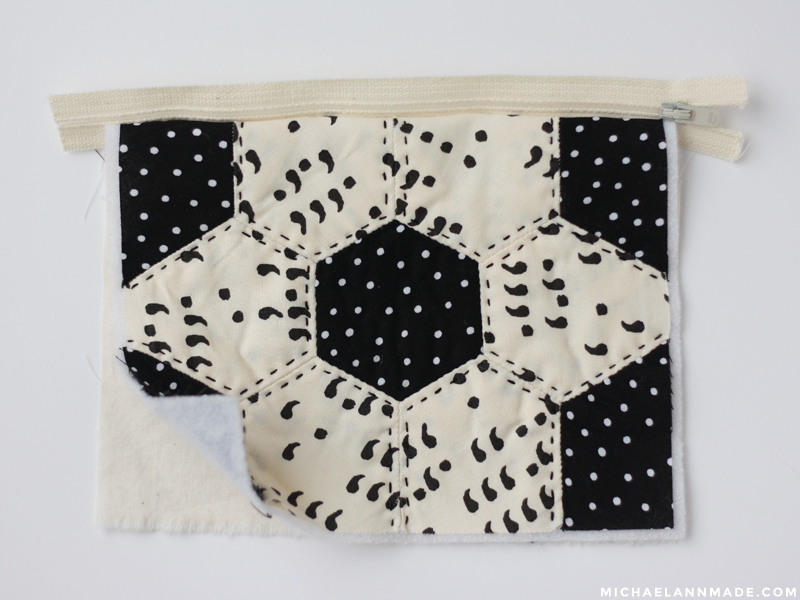 trying my best to align the stitching line of the white side hexies with the stitching line of the wallet. 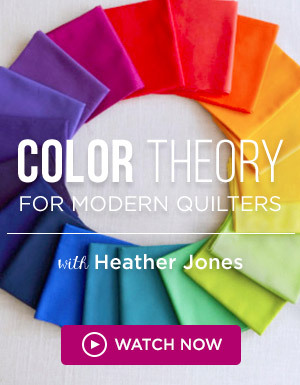 Now, you're ready to quilt it! 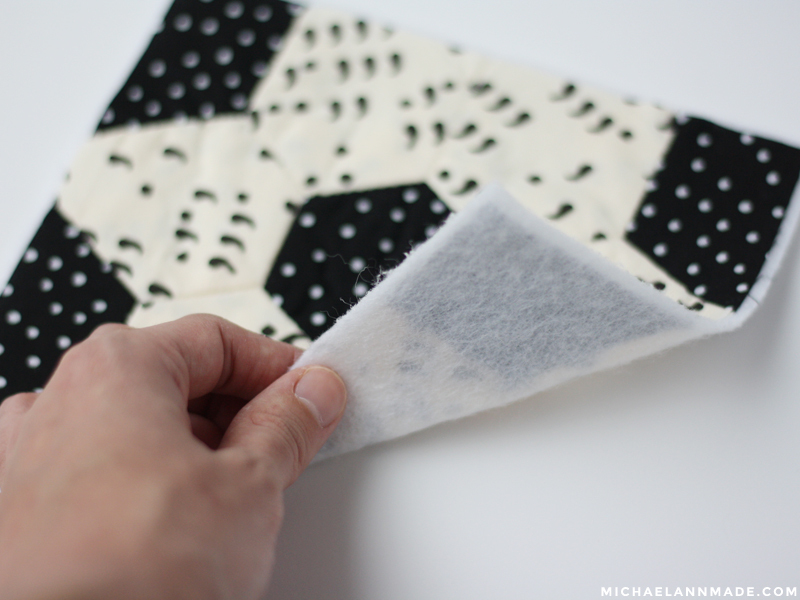 My new favorite secret trick to quilting tiny things? 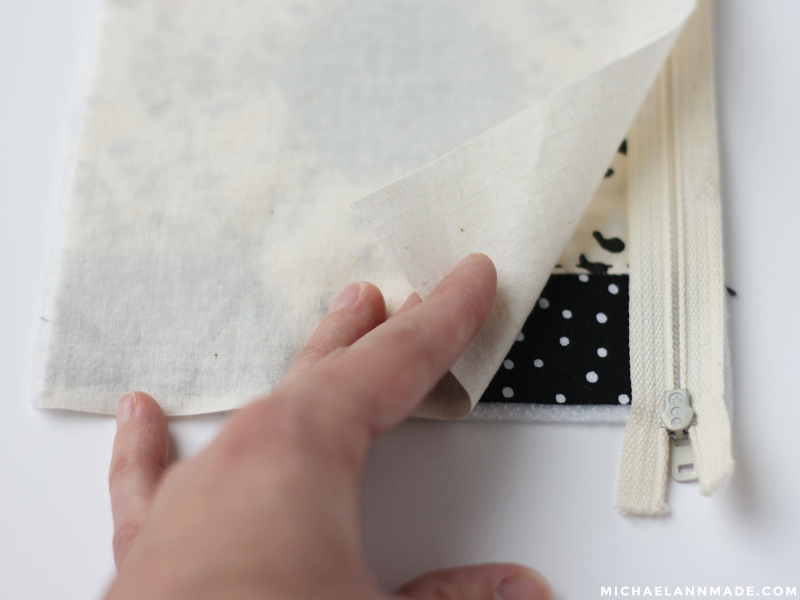 allowing you to iron it to your project and not have to worry about basting it. and fuse it to the back. (You could also use traditional batting and baste it to your piece. 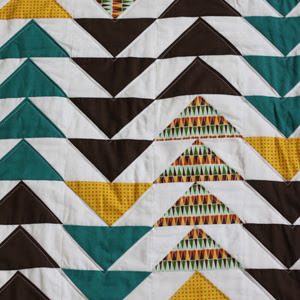 quilt your piece however you want. 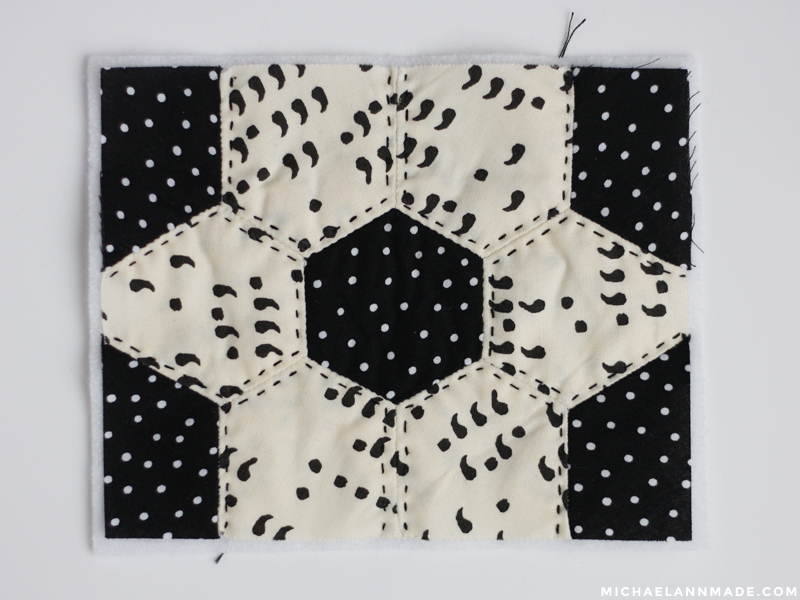 the tiny size of this project is perfect for hand quilting. Repeat all of the above steps for the backing of your wallet. You can make it match, or make it different. Your chance to be creative! 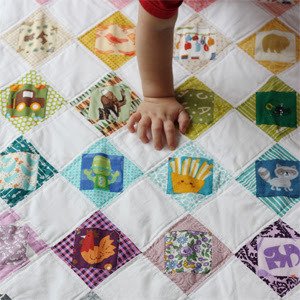 With your front and back pieces quilted, you are ready to assemble your wallet! and grab a zipper the same size. and place the zipper face down with the right edge lining up with the top of the front panel. Then lay your lining on top of that, right side down, also lining up that edge. as close to the right zipper edge as your zipper foot allows. and press the seam well. It should look like half of a wallet, like this! 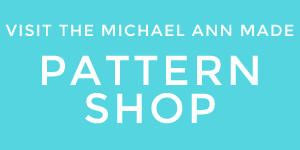 Repeat the process for the other side of the wallet. and the two lining pieces, right sides together. leaving an opening a couple inches wide on the lining edge. and don't let your needle hit the zipper and break! 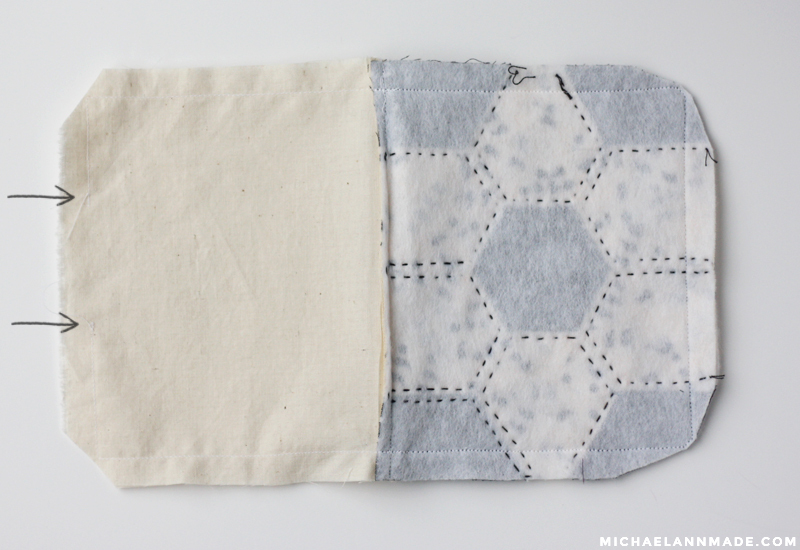 Clip your corners, press your seams, and flip the whole thing inside out. and fold it into the bag where it belongs. Zip up your little baby and you're all done! I see myself making many many more of these. Maybe this weekend while we get snowed in?! so cute! 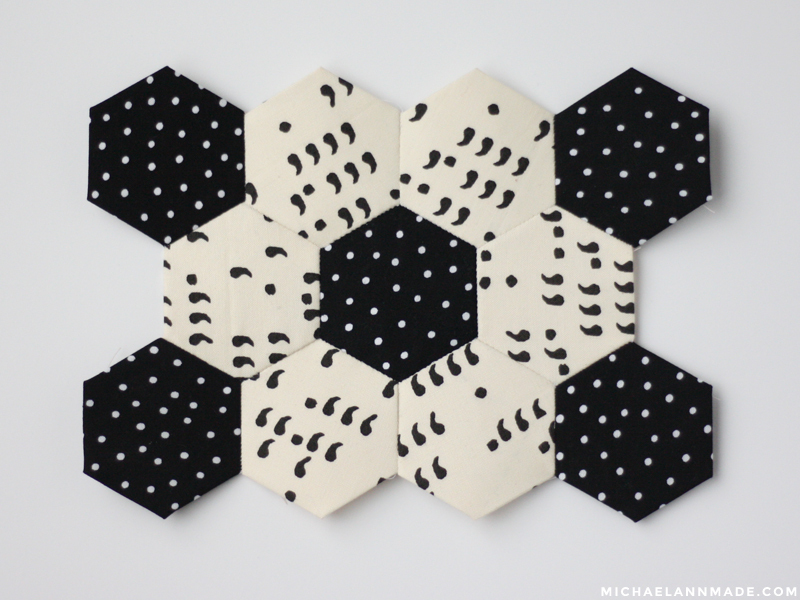 I've always said I wont get into hexies, but I think this could be just enough hexies for me. That's really cute! 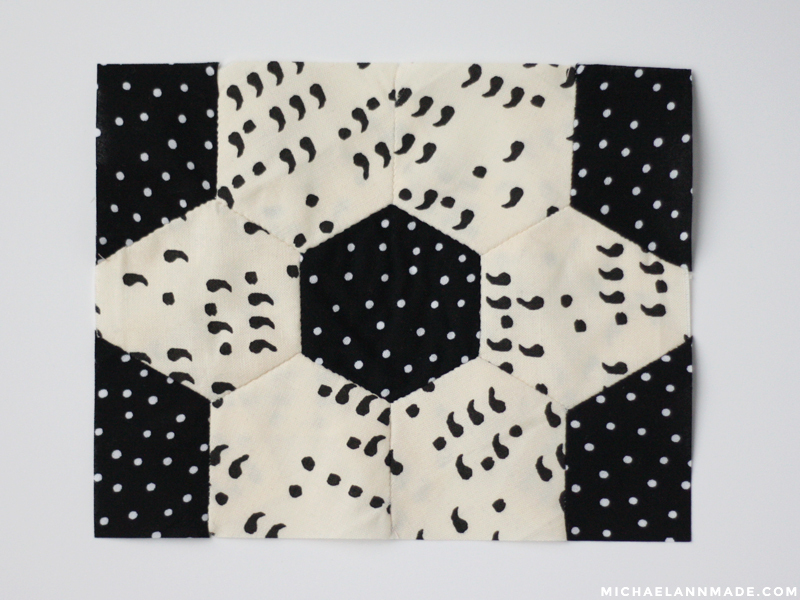 I've always wanted to try hexies.